This year marks the 100th anniversary of her death in 1917, there will be a special service at the Saint Francis X. Cabrini Shrine NYC. There is also one in Chicago. First canonized American a Citizen, after becoming a Naturalized American Citizen. The life of Saint Francis Xavier Cabrini began in 1859, in Milan, Italy. She was the thirteenth child and named, Francesca Cabrini, once she was a part of the Missionaries of the Sacred Heart, she added Xavier after Saint Francis Xavier. She learned about the saints when her father would gather the large family to read about the saints each evening. Gaining interest and a strong desire for missionary work from learning about these saints, Saint Cabrini tried to join a monastery. She was turned away, due to her chronic poor health conditions. Instead, she began working as a teacher in Italy. 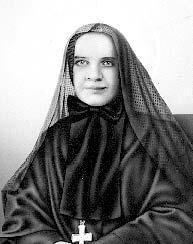 Saint Cabrini eventually became a headmistress of an orphanage in 1880. Which lead her to creating Missionary Sisters of the Sacred Heart of Jesus, which was officially approved in 1887. Finally she became a nun and still holding onto her hope of following in the footsteps of Saint Francis Xavier she then thought she could finally be a missionary in China. She asked Pope Leo to send her, instead he sent Saint Cabrini to New York City. Saint Cabrini arrived with six other sisters in New York City, to learn the place they were to begin working was no longer available. This is one of those times that the strong faith many saints possess could be seen. Saint Cabrini was described as a small woman, with a large presence. She found a residence and began working first with the Italian Immigrant population, followed with other immigrants and anyone needing assistance. It is easy when we hear no or nobody can, to give up and not pursue dreams or follow a calling. Saint Cabrini heard no or was met with obstacles, more than once, yet she was unstoppable until her death. It is the example that canonized Saints often live out through devout and unwavering faith. The devotion to Saint Cabrini can be seen with the four miracles attributed to her, enabling her canonization. I talked to a person who had stayed in the monastery at Saint Canrini’s shrine in New York City and was in awe of a person whom she had never met, by the Sisters who told her to sit in a popular spot where Mother Cabrini sat to gain inspiration. Saint Cabrini did not accept no and she did not wait for someone else to take care of a need. That is faith in action and the continuation of our communion of saints. To understand this, it might be easiest to look at the word faith. To do something in faith can mean, that we plant seeds that we do not see grow. We know that what we do or did will continue to be nourished by those who believe. In the instance of Saint Cabrini, faith is living within a humble example of a strong conviction to be of service to others. That faith took her onward, from initially being turned away from being able to join a religious community, to find 67 schools, hospitals and orphanages. Her work continues one hundred years later, even after her death in 1917.